The BTI 52mm and 60mm CAN gauge with ProEFI integration is capable of displaying parameters on 12 programmable screens. View telemetry data exactly as the ECU sees them with a fairly simple 4 wire termination. There are compound parameter screens that include a peak hold function for boost. wheel slip, and knock energy. The shift light is programmable by gear. Pictured are just some of the combinations of screens that may be selected. 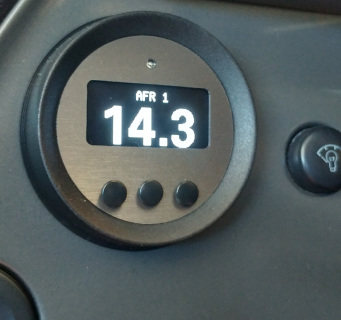 If you own a ProEFI and are interested in vehicle telemetry, this gauge is for you. 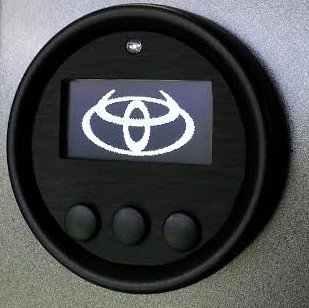 This Gauge has 12 programmable screens that are capable of displaying many different parameters. Not only do you have the ability to see many parameters on one gauge, but this also means that you do not have to purchase and wire in a bunch of additional sensors. We can insert a custom splash screen that will pop up when you turn on the vehicle. Note that the images must be converted to a black and white image. This option will increase the gauge size to 60mm. If you are looking for a little more than just a display, then this may be the device for you. 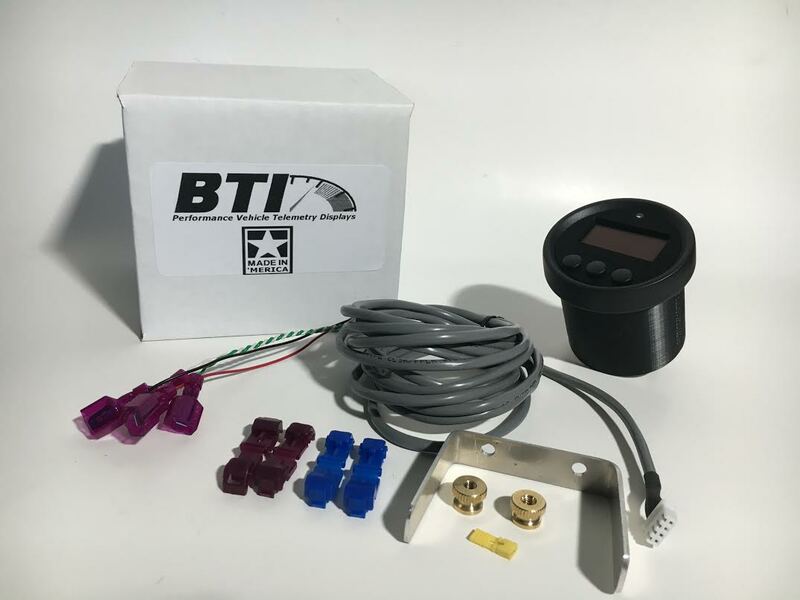 This gauge has the same capabilities as the standard BTI gauges, but adds some features like user scalable analog outputs for Boost control, Traction Control, Map selection, Nitrous Purge, Nitrous Arm, and a timed Line Lock. This eliminates those rotary switches and additional holes in your dash. There are also many peak hold functions including a Boost Episode snap-shot screen that will display key parameter values at peak boost . Finally, this gauge retains the user programmable shift light by gear function.